Breakfast cereal food is one crisp food which is processed by this line and adopts grist as basic material. It is fast and nourishing food with given structure in granule shape, flake shape and animal shape. 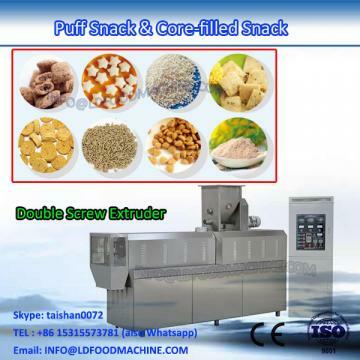 For the cornflakes processing line, different process gets different snacks and different taste. 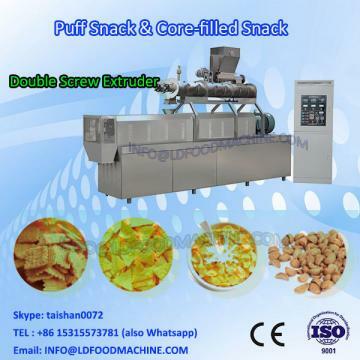 snacks by adjusting the dies from extruder. All the machinerys are made of Stainless steel 201.If you have special requirement, we also have SS304, SS316 for your choose. Chinese Input VoLDage is 380V/ 50Hz /3, If it is different from yours voLDage , we will adjust it .